What's up with the Nor Cal Swap? 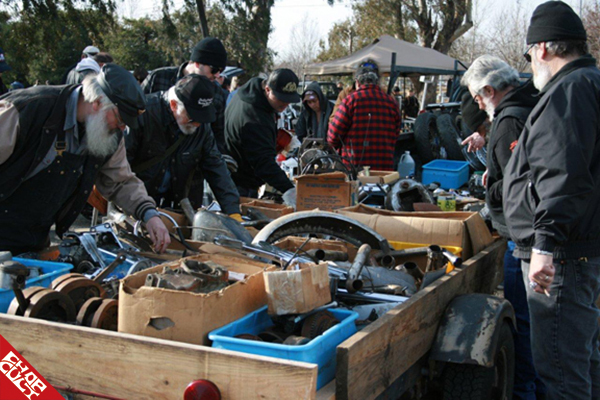 This month the folks at Bitwell announced that they are taking over the Sacramento Motorcycle Swap Meet from Topping Events. We pinned 'em down for a little Q&A session to see what's up. We've been fans and customers of the Long Beach Swap Meet for years, so when Marshall from Topping decided he wanted to focus on the more frequent, local and successful part of his business (Long Beach) he asked us if we were interested. We kicked it around a bit and made a deal. We've said from day one of this business that we weren't into the typical "bike show in a parking lot" format. That was why we started the El Diablo Run in 2006 and other runs and rides–we wanted to help bring riding and living back into custom motorcycle culture, not just a bunch of vendor booths and show bikes in a parking lot somewhere. Now, there are so many rides, runs, parties and whatnot in Southern California, it's actually impossible to keep up with them all. 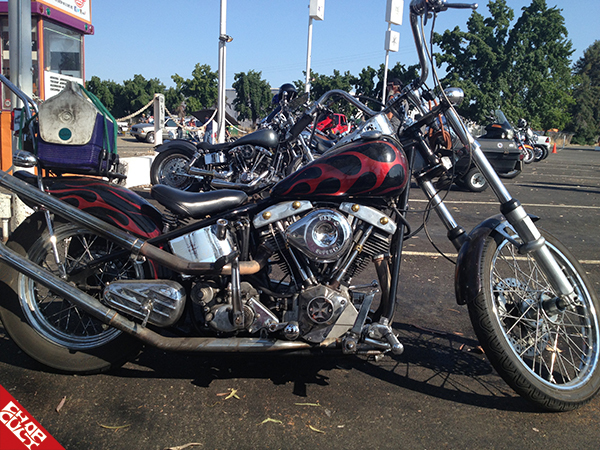 As much as these type of runs are integral to the chopper ecosystem, swap meets might be even more so. Swaps are what keeps the whole endeavor going for the dude who's building a bike in his own garage; it's where you buy and sell parts and projects and make connections with other people doing the same thing. eBay and Chop Cult classifieds are great, but if you have access to it, nothing beats a good swap for getting rid of your old junk and picking up new junk. Marshall has already laid the ground work, but only has so much energy to throw at it, especially with the scale of the Long Beach Swap. It's got the potential to be bigger and better. Our road-dog "Otto" is going to be focusing on running this as well as traveling to other events for Biltwell throughout next year. Northern California has deep chopper roots, some of the best riding in the world and plenty of builders and riders. We've got friends and family in the area, so it's a good excuse for us personally to get up there and hang out with them. We'd like to see this become a hub of home-builder and small brand activity for the northern part of the state. Not really. Marshall knows how to do this stuff, so we are going to run with what he's built and plans he had for the future that were already in the works. It used to be free, but you had to pay for parking. We're going to simplify by making parking free and charging $5.00 a head. We're going to add a "Bike Corral" where complete bikes for sale can be consolidated in one spot. 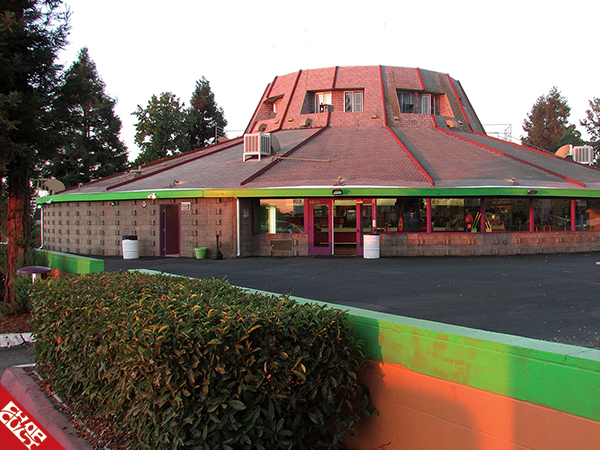 It'll be in the same venue–the West Wind Sacramento Drive-In 6 which has lots of room to grow, neat mid-century vibe and a great staff that's already used to the swap. 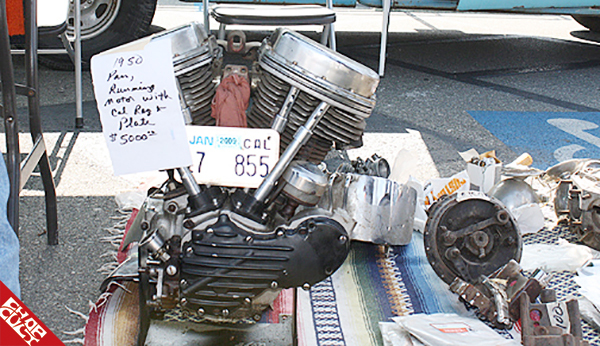 We learned a lot about swaps and event management in 2008 when we did the first and only Chop Meet in Wrightwood. The entry fee was steep, and even though it was a fun event, we lost our asses on that one. That's the last time we've done anything with a lot of moving parts and all of our events since then have been simpler. This will stay a simple swap meet so the entry and swap spots can be affordable and hopefully it can pay for itself. Once we feel like we've got it dialed in and running smoothly, we will look into adding some fun stuff like special movies the night before or a camp/ride in hills not far away. The best thing we can add to this already good swap is more people. The more vendors and riders that show up, the better one's chances of finding what they are searching for are. We're hoping Chop Cult members from the area will show up in force and add to the ranks of the folks already buying and selling parts and bikes. Do you have dates already? Same-day vendors: Gates open 6:00 a.m.
there goes the prices on chopper parts! Anyone else goin? It'd be cool to meet some 33ers up here. I'm going to be there! Can't wait!